I’ve always wanted and wondered how does the Japanese women ALWAYS have beautiful porcelain skin! I tan a lot but I do get comments on how fair or porcelain like my skin rejuvenates just weeks after. And finally now I’m gonna share with you the secret! The Japanese women have long enchanted the world, with their fair, radiant skin and finally the secret behind this flawless beauty is out! And here’s the secret! It’s all thanks to the traditional skincare regime that has been perfected over the generations. 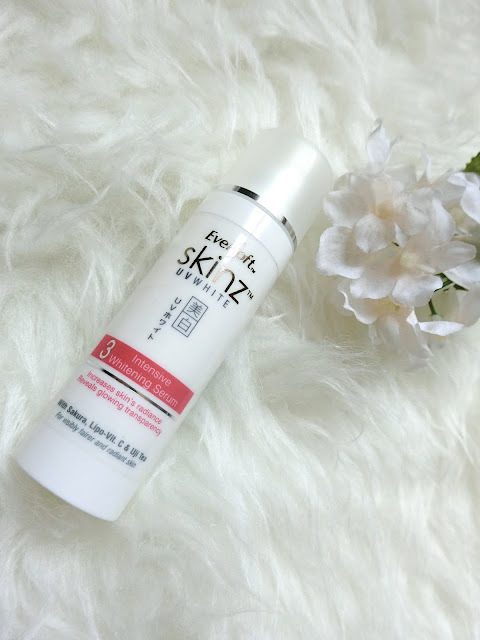 Introducing EVERSOFT SKINZ – the Japanese skincare regime that works effectively to provide women with fairer, smooth porcelain-like skin which the Japanese are famed for. They’re packaging is so girly I just couldn’t help but to take a selfie with them! 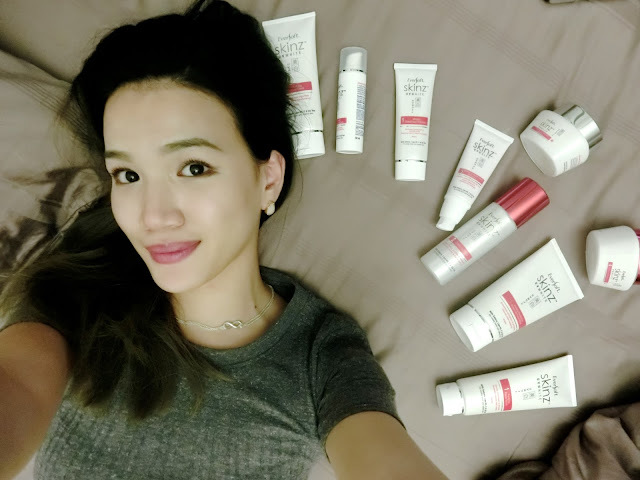 They’re my go to skin care products whenever I am trying to achieve that beautiful skin texture. Their products captures the beauty of nature. 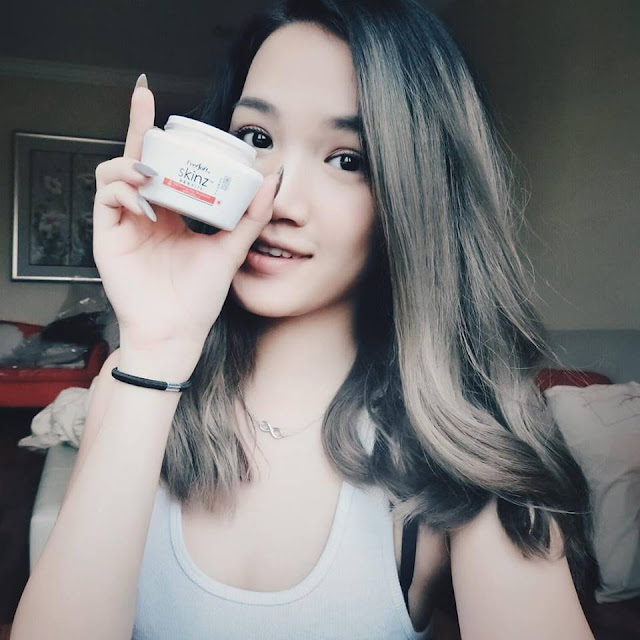 Not only that, the skincare expert from Eversoft and also with the latest in skin science technology, combines Japanese technology with the glorious benefits of the Sakura Extract, Uji Tea and Lipo- Vit C into one whole package of powerful synergistic skin whitening action! The skin-loving extract is known to smoothen and brighten skin for rosy radiance and luminous complexion. A patented Japanese technology that delivers potent Vitamin C Actives deeply into skin to dynamically lighten skin with anti-pollutant effectiveness. Its Anti-Tyrosinase (the source of dark spots) properties help to reduce hyper pigmentation sign and skin darkening from within. Kyoto’s high quality, premium grade green tea is packed with powerful and effective natural anti-oxidants, it helps to renew and repair skin by neutralizing the damage cause by UV and free radicals. There’s four bottles in total but one will be the daily cleanser while the rest is only used on a weekly basis. Easy right? Now I can cleanse my face easily with these step by step guides for that flawless fair skin! A simple daily cleanser which I use in the morning and after a day out, at night. And then the three other weekly cleansers to help purify and maintain the cleanliness of my skin. Daily – Cleanse your skin with the PURIYING FACIAL FOAM. It so gentle on my skin as it cleanses and removes impurities while retaining skin’s natural moisture balance! Hence revealing clearer translucency. Weekly – The PURIFYING FACIAL SCRUB is a soap-free cream scrub that brightens your skin while thoroughly exfoliating rough, dull and dead skin cells. Say hello to smooth skin! Weekly – Enriched with whitening and exfoliating properties, the INSTANT RADIANCE RINSE-OFF FACIAL MASK is highly concentrated with natural AHA that removes dead skin cells and lightens darkened skin. Perfect for freckles and pigmentation! Weekly – A revolutionary herbal gel, the MIRACLE BLACKHEAD EXFOLIATOR painlessly and effortlessly unclogs pores by removing blackheads, oil seeds and dead skin cells. Now you can save up on going to facials. Haha! Love how they’ve colour coded the bottles! Making it oh so cute. Enhanced with Aloe Vera and Licorice, the CLARIYING TONER soothes and calms my skin while preparing it for optimum absorption of the other skin whitening therapy that comes after this step. It is a balancing toner that deeply tones and purifies, keeping my skin radiant and pores refined. Plus, it also restores your skin’s optimum pH balance for a hydrated, fresh sensation. A high-potency serum packed with active whitening concentrate and enhanced with Hesperidin, the INTENSE WHITENING SERUM can boost the skin lightening process. It also helps reduce pigmentation and dark sports effectively, revealing a brighter and more radiant skin tone. One day cream that has an SPF protection and a night cream. 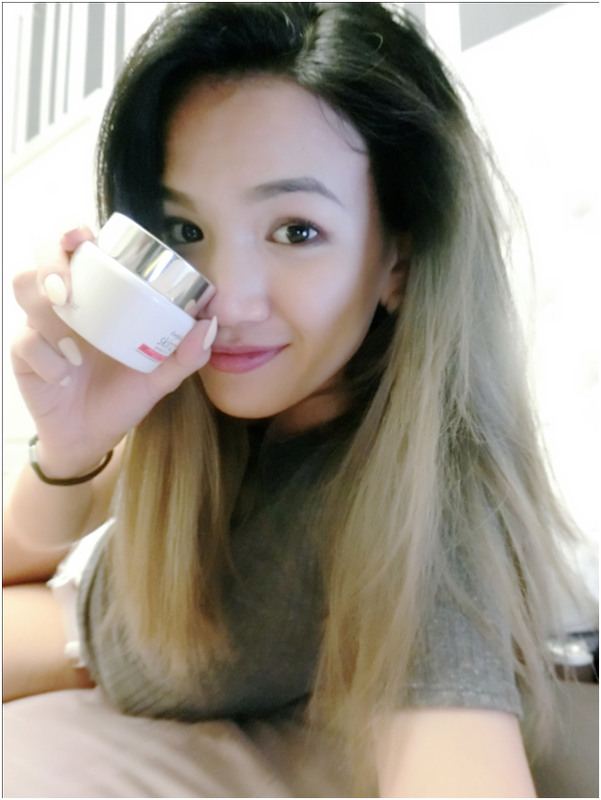 For the Night – Enriched with Alpha-Arbutin, the INTENSIVE NIGHT MOISTURISER penetrates deeper to boost my skin’s whitening process as I sleep. Now I can wake up to a fairer, hydrated and translucent complexion in the morning! This serum helps with whitening from within and you’ll be able to see a radiant, glowing luminosity with continuous use of the PERFECT WHITE BB CREAM! It has SPF30PA++ which is an advance whitening and protective BB cream. This awesome serum combines the benefits of skincare and colour control technology to attain instant radiant, flawless looking skin. Advanced broad-spectrum UV-filters provide complete shield from UVA and UVB rays! After using the completed range regularly I do see my skin tone slightly lighter. And since I just had a beach vacay not too long ago I need these even more! These will definitely provide a deeper whitening from within and my skin will be radiant, glowing in luminosity in just 2 weeks!